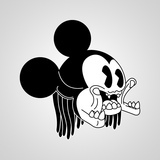 Deformer node designed to make facial rigger's life easier! "the best system for eyes! thanks! saves soo..."
"very cool, thanks for the share." 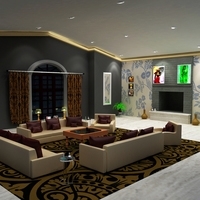 "Yes, thanks for sharing! 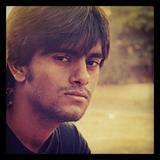 :)"
"This is pure gold! 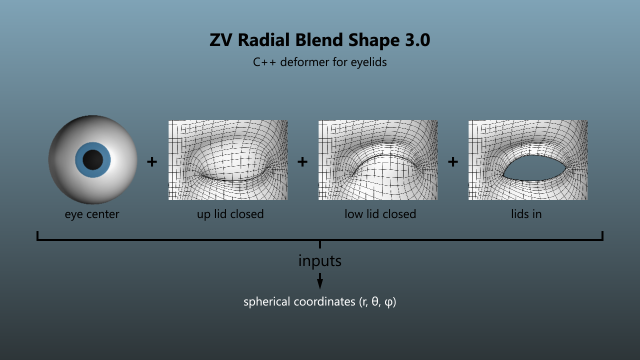 Thank you very much for ..."
ZV Radial Blend Shape is a deformer node particularly useful for facial animation. 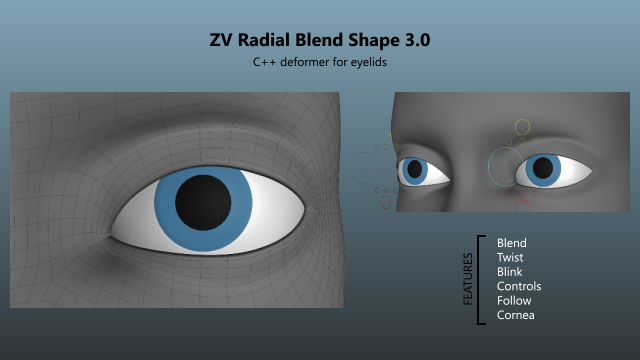 ZV RBS makes eyelid and eyebrow deformations extremely easy to setup!